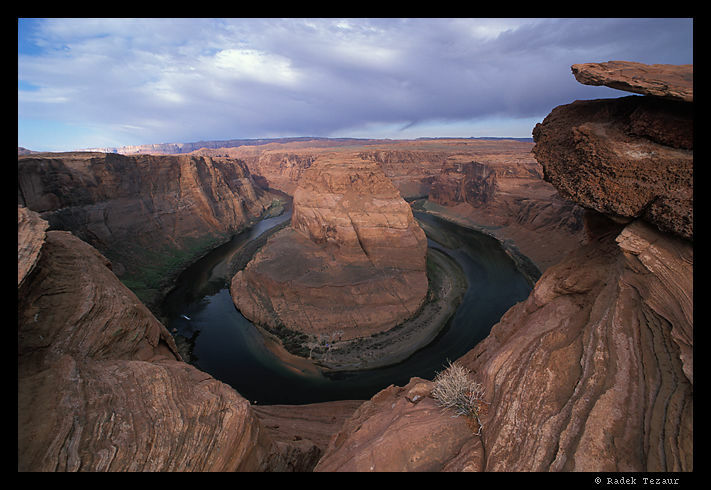 A few miles south of Page and the Glen Canyon Dam, Colorado River has carved a horseshoe shaped bend in its course through a canyon that only some one hundred miles downstream becomes "Grand". It is one vertigo ispiring place. It is less than half a mile from the road. Bring an ultra wide lens if you want to fit it in the photo. We found shooting into a sunset quite futile and returned for a sunrise, which was photographically a lot more manageble.